Happy Friday friends! Aly Dosdall here–I’m glad you stopped by today. I love giving gift cards for the holidays because they allow the receiver to pick out what they get, which often ends up being something they might not get for themselves otherwise. But, I worry that when I give them as a gift, it might seem like not much effort went into it. My solution? 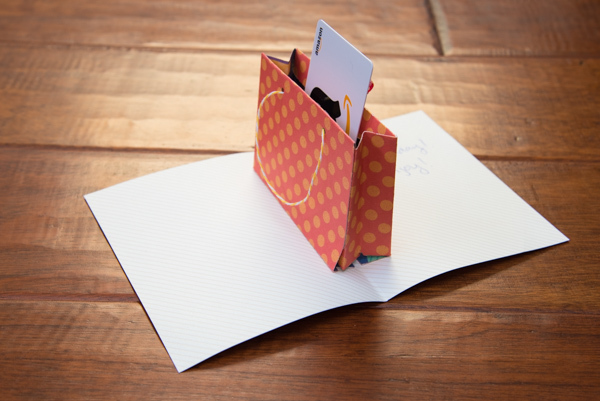 Make some pretty gift card packaging! To make these festive gift card holders I started by gathering my Banner Punch Board, Trim and Score Board, some other We R tools, and the Winter Frost Premium Stack from Die Cuts With a View, Inc (available at JoAnn Stores). First, I trimmed my papers down to 12×4 inches and cut a crest banner shape in one end. Then I placed by paper on the Trim and Score Board horizontally, with the crest shape facing left, and scored it at 2 1/2, 4 3/4, 7, and 9 1/2 inches. I folded the score lines as shown below, and then added double sided craft tape to three sides of the second to bottom panel. Be sure not to add adhesive to the side with the crease along the center panel, as this will be the opening for the pocket for holding your gift card. Tip: At this point I placed my gift card on the panel with the adhesive to make sure it would fit inside the tape properly. 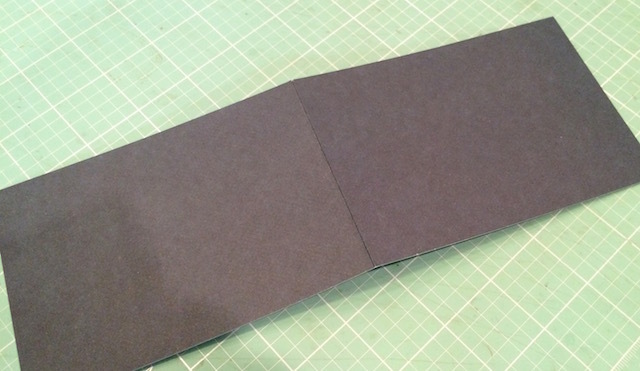 I adhered the center and second to bottom panels together to create the pocket, and then trimed 3/8 inch off the top to create the opening for the card as shown below. 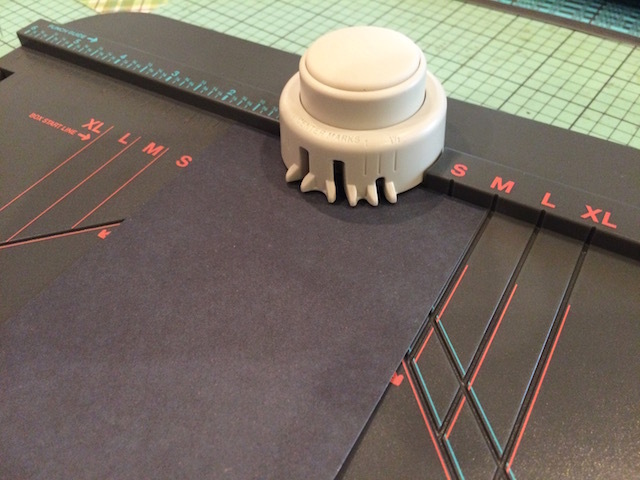 Then I create a notch in the pocket for easy access with the Clear Cut Circle Punch. 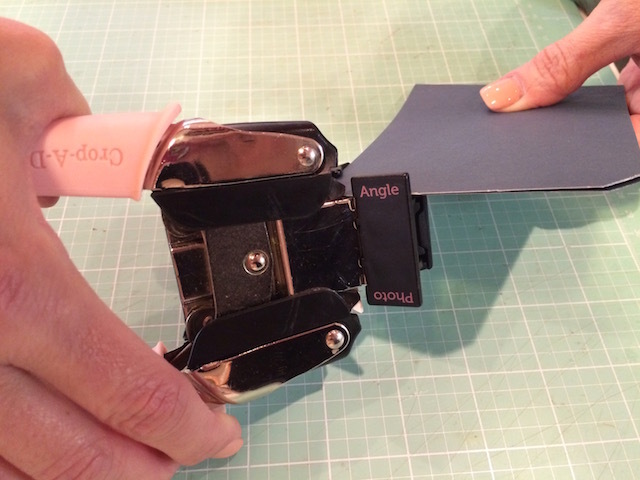 It was easy to align the paper halfway into the punch using the clear alignment guide and magnetic system! To finish off my gift card, I added a ribbon around the top flap which I cut and sealed with the Ribbon Cutter. I seriously love this tool–don’t know how I ever lived without it! I cut some tags out of the Winter Frost Premium Stack. It’s so convenient to have cut out tags, journaling cards, and labels included in the stack! Then I die cut some snowflakes from the DCWV Embossed White Holidays Stack with my Evolution Advanced, and embellished the top flaps. 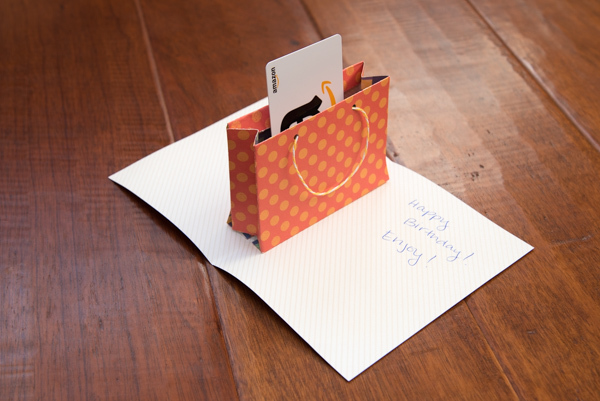 I hope this gift card holder idea inspires your holiday gift giving. 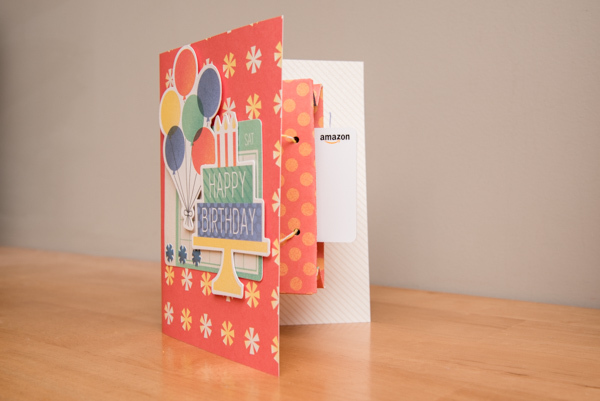 It’s easy to make, but adds a special handmade touch to gift cards. Thanks for joining me today. Have a great weekend! Pop Up Gift Card Holder + A Giveaway! Good morning, WeR fans! Jen McDermott here, sharing a neat gift packaging idea for you. I tend to give lots of gift cards these days because they are just so easy to pick up while I’m out shopping, and I KNOW the recipient of the gift will be excited—who DOESN’T want to go on a shopping spree on someone else’s dime? But sometimes it can be hard to package up the gift card in a way that doesn’t scream “I just grabbed this card for you while I was out grocery shopping. No big deal.” We need to add some “oomph!” to our gift card delivery! 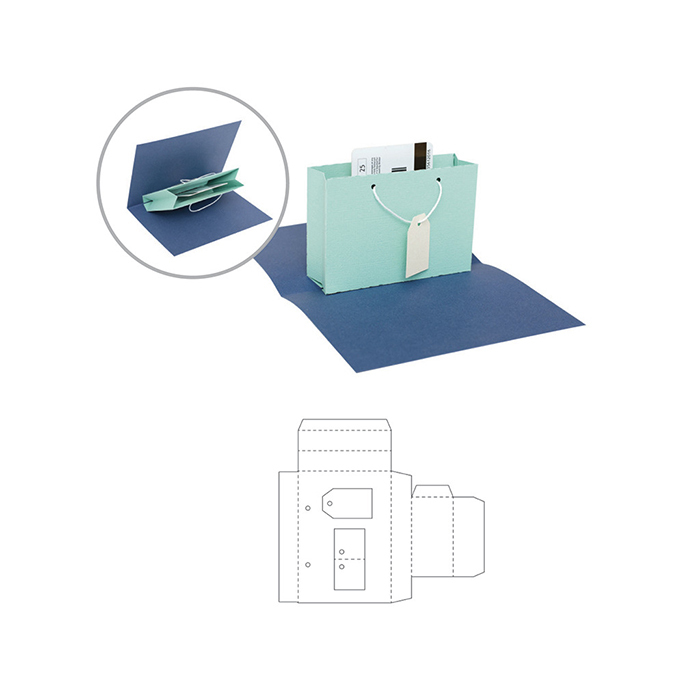 That is exactly why I love the Pop Up Gift Bag Template Die. I used the new Cake and Candles paper collection, and ran the template die through my Evolution Advanced twice. (you need two cuts of the die to piece together the gift bag.) I adhered the bag together, and then used a coordinating piece of Cake and Candles; cut and scored to an A2 size, using my Trim and Score. Once I had the bag secured inside, I added some yellow twine to make the gift bag “handles” and inserted my gift card inside the bag. Finally, I got to work decorating the front of my card. 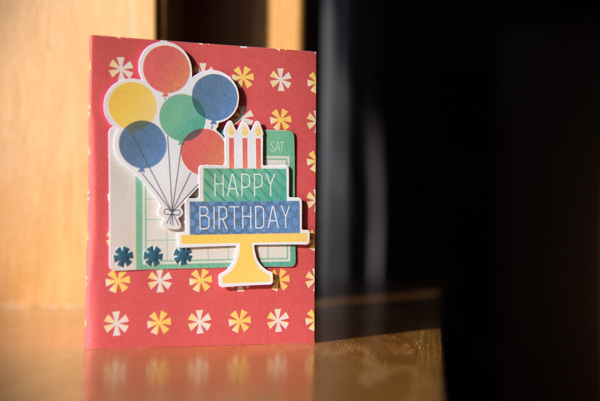 I went with the pop-up theme of the card, and added lots of dimension to the front; using American Crafts pop-up foam tabs on some Cake and Candles Ephemera bits. I also added some enamel shapes from the Cake and Candles collection as well. And there you have it! A super fun and NOVEL way to give a gift card! How about you? Who could you create a pop-up gift card for? Share with us on Facebook! 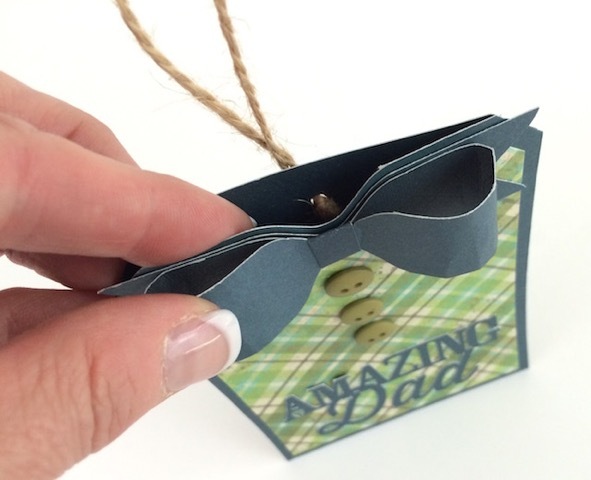 Hi everyone, it’s Traci from Artsy Albums and I’m happy to be back to share a fun and easy Father’s Day project with you. I created a tag that can hold a gift card. To create the tag, I used the new 123 Punch Board, an angle Corner Chomper and the trim and score board. To start, I cut the pocket portion of my tag from navy card stock 3 1/2” x 10”, and scored the piece at 5”. With the piece folded in half on the score line, I used the “angle” side of the pink Corner Chomper to create tag corners. Next, I created a notch on one short side of the card stock for my “shirt collar” by using the center marks on the 123 Punch Board. Then I adhered the piece together on the long sides to create a pocket, and punched a small round hole in the back to hold my jute cord. I cut a piece of plaid paper (from the StoryTime collection) to create my shirt. 3 1/4” x 4 3/4”. 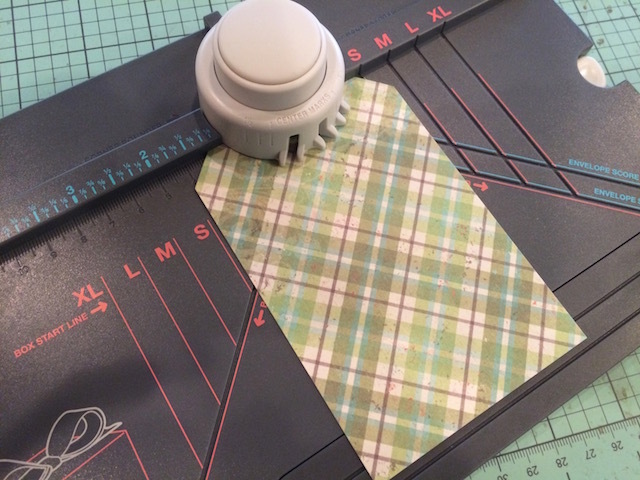 I followed the same steps to create the tag corners and “shirt collar” notch. I adhered the plaid paper to the front of the navy background tag. 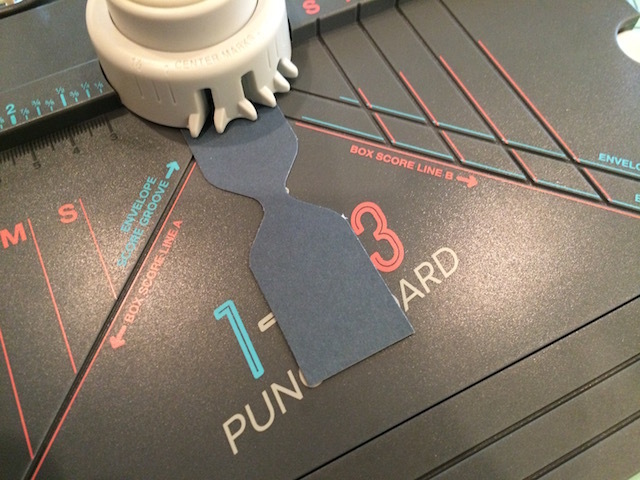 To create the bow tie, I followed the directions for the XS bow on the 123 Punch Board. Finally I added the bow tie to the front of the “shirt”, added a few buttons and a title. Thanks for letting me share this tag for Dad with you today! 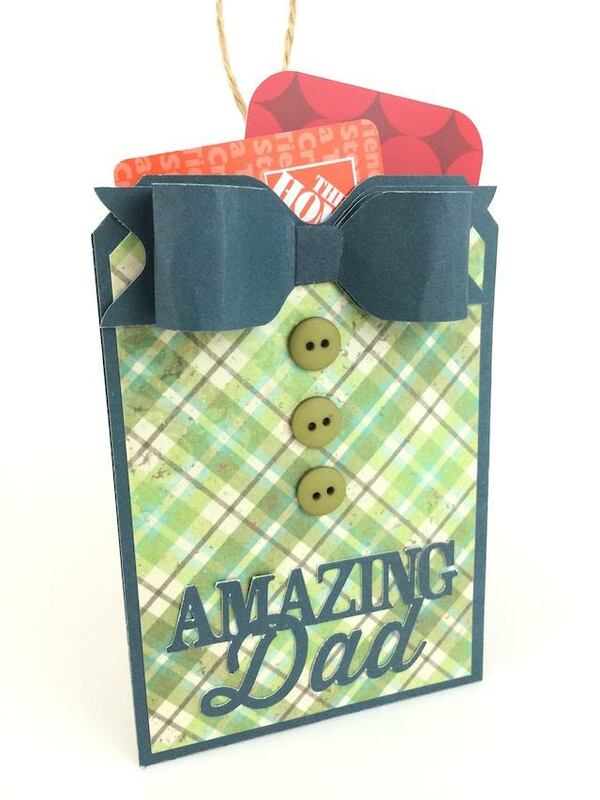 Please share your Father’s Day projects with us on our Facebook page! Thanks for stopping by!